TLA are proud to announce the sponsorship of Ashford District U11 Girls Football Team. Congratulations to all our students who achieved outstanding results in the recent Kent Test. 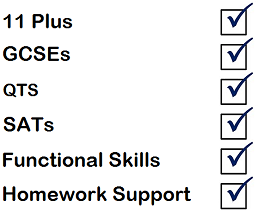 We are now taking bookings for the 11 Plus Mock Tests. There are 3 sessions available. Tuition services in Kent are fast growing and are often found to be a much needed addition to a child’s education. Join The Learning Academy team today. We would like to warmly welcome you to The Learning Academy’s premier 11 Plus tutoring centre where we offer excellent private tuition in Ashford by experienced teachers that can help your child to achieve their full potential. The Learning Academy has helped over 700 pupils secure places in grammar schools, independent schools and also achieve excellent results in their GCSE exams. Places at super selective schools have been secured by our pupils with the right kind of support. The Learning Academy offers expert tuition in Non-Verbal Reasoning, Verbal Reasoning, Maths, English, Reading and Spelling for primary school children. We also cover GCSE Maths, GCSE Biology, GCSE Chemistry and GCSE Physics for secondary school students. The Learning Academy offers a range of expertly developed primary school tuition sessions in English, Maths, Reading & Spelling and also a range of secondary level sessions in Maths, Biology, Chemistry and Physics perfect for students undertaking their GCSEs. 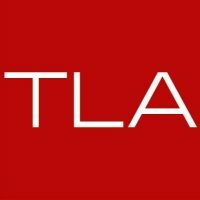 Get your first lesson with TLA for free! We offer bespoke lessons with our experienced teachers at both primary and secondary levels from our tuition centre in Ashford. The Learning Academy in Ashford was established in 2002 and has been achieving excellence ever since. The Learning Academy offers high calibre bespoke private tuition sessions in Ashford. In addition to preparing your child for their 11 Plus (Kent Test), we also provide tailored learning solutions for SATs, GCSEs and Common Entrance exams. With the Kent Test preparation the children are continually assessed and parents receive regular feedback on progress. The key to your child’s progress is the strong relationship between the parent and teacher. We will forge strong links with you to ensure progress is sustained. We were the first tutoring centre in Ashford and have had hundreds of children achieve success with us – teaching is our passion, building high self-esteem and securing progress are key to your child achieving with us. We are teachers who have been teaching for over 20 years each in a variety of schools with a variety of age ranges and abilities. We have up to date experience of delivering the primary and secondary National Curriculum which is utilised to teach the children who attend the TLA. At The Learning Academy the children are only taught by experienced qualified teachers not sixth form students, university students, teaching assistants, unqualified teachers or computers. 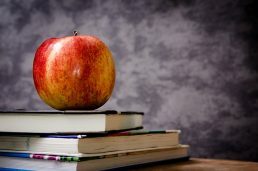 The Learning Academy only employ qualified experienced classroom teachers who have an honours degree and a postgraduate teaching qualification as well as being DBS checked. Please make sure you check the qualifications of anyone you’re paying to educate your child. If you want The Learning Academy to help your child make rapid progress then browse our website and feel free to contact us. We cover many areas which include 11+ or 11 Plus tutoring, confidence building, SATs, Literacy, Numeracy, homework support, GCSEs and QTS exams. We also have specialist teachers who can help prepare your child for all aspects of GCSE French and GCSE Spanish. We are not just teachers. We are a family and believe in community, loyalty and trust. Come and join the TLA family. Your child only has one chance so let us help them to get the best outcomes. Don’t take our word for it see our Parent Reviews. The Learning Academy offers students a range of expert tutoring sessions with experienced and qualified teachers that have an up to date knowledge of the curriculum. We can help you guide your child to the highest possible standards. 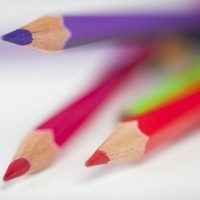 The Learning Academy are currently offering three mock tests that can be sat by the children as follows: Mock Test 1 (23 June 2019), Mock Test 2 (21 July 2019) and Mock Test 3 (18 August 2019). We offer expert tuition in Non-Verbal & Verbal Reasoning, Maths, English, Reading & Spelling for primary school children and also cover GCSE Maths, English, Spanish, French and Science for secondary school students. The Learning Academy is a private tuition centre based in Ashford that offers students expert tutoring sessions designed on an individual basis to cover all of your child’s educational needs. The Learning Academy are now hiring! We are looking for experienced teachers at both primary and secondary levels that are based in or near to Ashford. Join the team, learn more. We are not just teachers. We are a family and believe in community, loyalty and trust. We actually do the most rewarding job in the world. Working with children who want to learn and families who want their children to succeed. One of the most important things we adults can do for young children is to model the kind of person we would like them to be. It is early days for my son but already he feels more confident I am pleased with regard to the individual approach taken to my son’s learning and with Parm’s expert tutoring Dan is grasping and retaining knowledge beyond his present understanding of the subject The Learning Academy is a real find!! 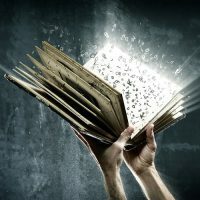 I currently attend science GCSE sessions once a week, and I feel that I learn a great deal every session that I attend. TLA has boosted both my confidence and my knowledge for my GCSEs and I thoroughly recommend it to anyone who needs the extra help in any subject. It also helps that the staff are extremely helpful and friendly, and they meet all of my needs. I enjoy going to The Learning Academy because it’s fun and I learn new things. The Learning Academy helps me learn and prepare for the 11 plus. Thank you to all the teachers for helping me! I would like to thank you both for your time last night it was extremely beneficial and gave us hope which we really need right now. Our little men put so much effort in at school, so it is encouraging to learn that they will get there, in their own way! Both boys left yours and said they really enjoyed their lesson. When I informed them they would be coming back on Saturday there was a great roar of appreciation so again, thank you for your encouragement and making them feel confident in their studying. My son who is in Year 6, enjoys going to his weekly tuition and I have never had to drag him to it! The one-to-one situation with the same teacher each time means he gets all the attention and help he needs during tailored lessons. Feedback at the end of a lesson is also a plus for parents. Thank you TLA! Our son and daughter are in Year 2, they both enjoy attending The Learning Academy. Our daughter in particular is more confident with her maths and the one to one tuition sessions has been helpful in terms of learning new techniques to solve and understand maths. She has also successfully completed all her times table tests with her headteacher this week and will be getting a certificate on Monday. Our son has also made significant progress in creative writing and comprehension, he has learnt the key ingredients to incorporate when writing as well as improving his joined-up handwriting. As a parent the comprehensive feedback after each session is extremely helpful in terms progress being made by our children….. Many thanks to TLA. 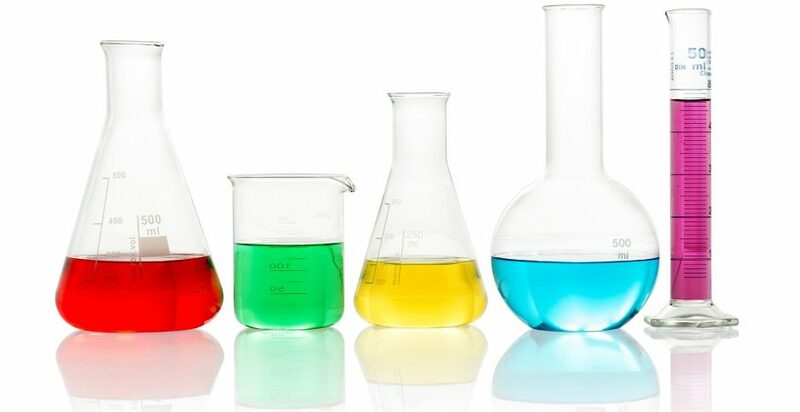 The Learning Academy has been a real enjoyment for me and has helped me in my GCSE Science and I would definitely offer this service to my friends because not only does it help you with whatever you struggle with, but itâ€™s a fun time whenever you’re here! Nothing is ever serious as TLA team have a lot of patience and never get angry if you get something wrong. I would like to say a big thanks for boosting my GCSE Science grades, my confidence in lessons and getting answers right! Thank you so much! It’s amazing how much you can learn in one hour every weekend. I’VE LEARNED FRACTIONS DECIMALS AND TIMES IN 3 weeks! The best tuition I have ever been to! I learnt more in just one lesson than I did in a week in school. Would recommend to anyone. My son has made fantastic progress in maths over the past 5 months. His confidence and engagement in maths has grown due to the supportive, challenging and personalised input from Surinder. I appreciate the feedback after the lesson so I can discuss the lesson later with my son. My children enjoy learning at TLA. TLA helped my son pass his 11+ test and my daughter is more confident in maths. We are sending both our children (Year 7 and 5) and are very happy with The Learning Academy. The teaching is tailored to each pupil which enables better progress and results. The teachers are also very approachable which makes the children comfortable. They enjoy going to their lessons. All very positive. Thank you TLA! Thank you to the tutors and TLA for the excellent support you have given to my son in developing better maths GCSE confidence and results. I can’t thank you enough. Both my daughter in year 6 and son in year 3 started TLA barely three months ago and have gained so much confidence in their Maths and English. We are very impressed with the children’s progress which shows in their school work and home. The children say they enjoy the lessons and feel relaxed doing their work. Thank you both for paying attention to them and being true to your words of assurance that TLA will ensure they tutor them to their level and higher. From my son’s first lesson with the tutor, the improvement was very noticeable and from each lesson since. What’s more, he thoroughly enjoys being there! My son has made fantastic progress in maths over the past 5 months. His confidence and engagement in maths has grown due to the supportive, challenging and personalised input from the tutor. I appreciate the weekly review post lesson so I can discuss the lesson later with my son. My daughter who is in Year 11 has been attending TLA to help her in Maths and Science. She always comes out of each session having learnt something new, an understanding of what she has learnt, confident and positive and has had fun whilst learning. I would definitely recommend the TLA. “We stumled on the website, enrolled our son, later our daughter. They both enjoy the lessons. Our son passed the 11+. The engagement and communication from the teachers are excellent – they listen, assess each child, consider and explore options and discuss the best way forward before implimenting this. Their regular feedback makes you feel involved with the child’s progress. It’s a great learning environment. We’ve already recommended another family and will surely do so in the future. “Very friendly people, made learning something new exciting for our son who went on to pass the Kent Test with over 20 points to spare. Would highly recommend The Learning Academy to anyone looking for additional support for their child.